In those 13 years, over 160 movies were regarded worthy of a five-star review. After some cutting, whittling and massaging (Talladega Nights anyone? ), we've culled that original shortlist down to those movies we think represent the 101 Best Movies Of All Time! So sit back with your iPad, and tap and swipe your way through our 101 Best Movies Of All Time app - and why not visit us at www.totalfilm.com to tell us how right (or wrong!) we are! If a film isn't on the list, it may mean that we haven't reviewed it in our tenure, or that for some reason we only gave it a four-star review. For films that came out before 1997, we've relied on the DVD review. For films post-1997 that have both cinema and DVD reviews, we've used the original cinema review (hence no Hidden - criminally given only four stars on release!). And lastly, this list is not a countdown, it's alphabetical - we're not playing favourites here! 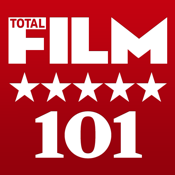 Total Film is the modern movie magazine, taking an affectionate and irreverent look at Hollywood blockbusters, classic films and more indie fare. Every issue, we provide readers with all the latest gossip and news from the film world, including first looks at the coolest movies in production now. Visit us at www.totalfilm.com and www.facebook.com/totalfilm to find out more or drop us a Tweet at @totalfilm!